I learn new information each time I come to Michele’s class. I like everything about her program because she teaches in a relaxed atmosphere. Each meeting with Michele is a learning experience. The Zombie Notes were perfect, and the EKG video on YouTube and the nursing book are excellent. The Zombie Notes were extremely helpful; I will definitely use them again in the future. Michele and Christine provided a great environment for learning; very comfortable; don’t change a thing. 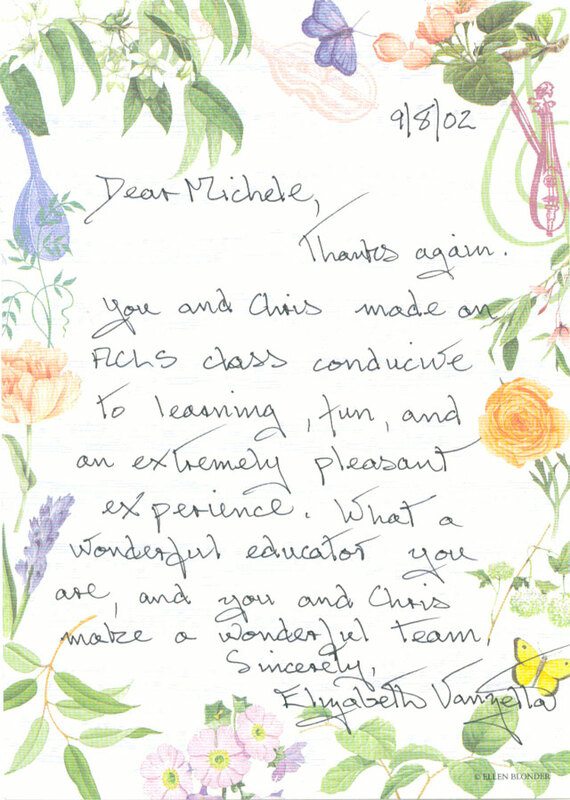 Michele’s class has been the best experience since I’ve been taking ACLS and PALS – since 1986. The Zombie Notes highlighted the major aspects and presented them in a way that made it easy to learn. Michele’s information was clear, to the point, and well absorbed. The learning environment was comfortable; Michele was very knowledgeable, and the class was fun. The Zombie Notes were extremely helpful in identifying clear-cut answers and appropriate information. They cut out a lot of extra language that causes a loss of focus. Michele’s explanations were much easier to follow than the book. The Zombie Notes were very helpful – the AHA book was a bit confusing. In the future I will focus more on the Zombie Notes and not as much on the book. The book was too confusing. Thank you note from Elizabeth, one of Michele’s students. I took Michele’s class because I am a nursing student who is looking to work in the ICU or Emergency Room. Michele’s class was very fun; I learned a lot; I will come back to her for future classes. I liked the humor from Michele and Christine that made the class fun. Do not change the class, keep it the way it is, it works! Michele’s teaching was very effective and she is very knowledgeable. The Zombie Notes Study Charts were very effective in preparing me for the ACLS class. Michele’s class is very thorough. Michele and Christine are very knowledgeable and present the material in an effective manner. The class environment is conducive to learning. Michele and Christine were great! Love the humor. Michele is the best instructor ever. 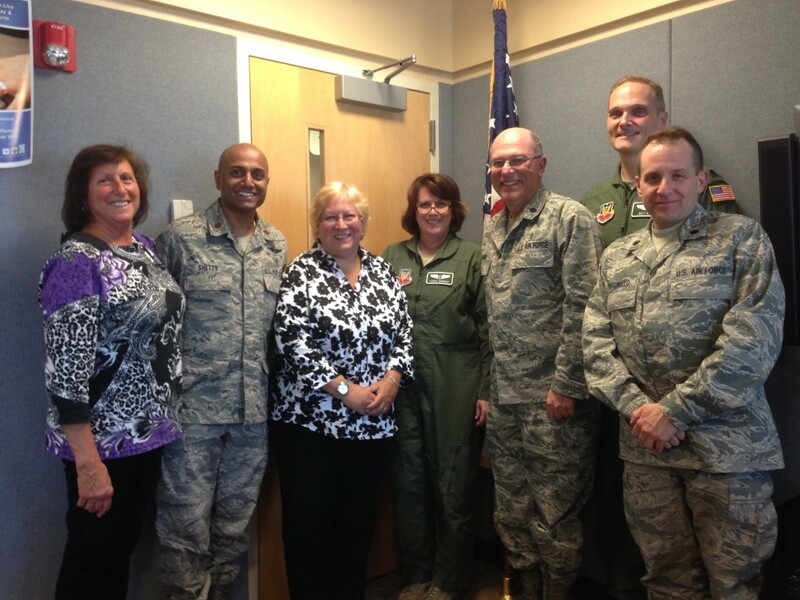 Excellent examples of experiences with PT’s and how they were treated. Michele’s program is very easy to understand and an enjoyable learning experience. I would certainly come back for the refresher course. Highly recommended. There were several things I liked about Michele’s program: Second-degree heart-blocks; AV depolarization and EKG waves – concepts that had never in 13 years clicked for me and now I get it – Michele and Christine made things so easy to understand. I really did enjoy the class! Michele’s teaching method was very good. My friends recommended her to me. Her class was fun and I learned a lot. 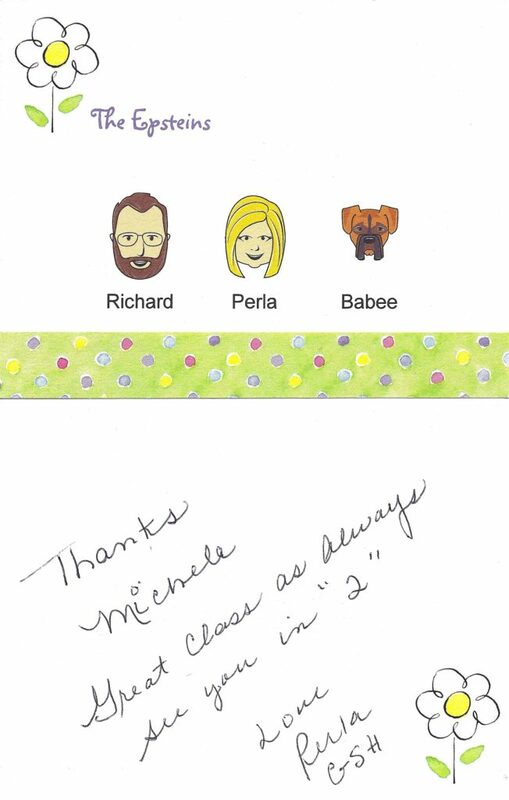 Thank you note from Perla, one of Michele’s students. I liked the clear, humorous way the pertinent information was delivered! Also, very comfortable learning conditions. Michele is extremely smart and teaches us in a low-stress environment. I retain all information, meds, dosages, and interventions better than ever. Thank you for your hospitality. I liked that Michele gives a clear and concise explanation of all aspects of PALS, with an emphasis on practical scenarios. After Michele’s class I feel more confident about the emergency code. I liked that I was able to learn in a relaxed atmosphere; I wasn’t afraid to ask questions and discuss. I liked the humor!! I learn best by humor; Making a dry subject interesting. I like that Michele talks “nurse” language. I love Michele’s technique of using humor and intelligence. Love it, love it, love it! Michele is a great, user-friendly, and very effective instructor. Many areas explained in a very easy to understand manner. Michele’s class was highly recommended to me. Michele’s program is taught at the appropriate level for healthcare professionals. It is the best program I have attended for ACLS recertification. Michele’s program has an excellent presentation and an enjoyable format. Her program is interactive and an excellent discussion that can’t be offered by a computer-based program. Michele’s program is to the point, well run, and a good review. I liked the appropriate real-life medical scenarios. I liked Michele’s interaction with the staff. Excellent presentation; very informative and fun. I will call Michele and her team every time. They touch on every point. They are an organized and up-to-date team. I like the hands-on teaching. It is always a pleasure – I remember all the algorithms because of the tools we are taught in class by Michele. Michele has simplified the critical care arena of learning and retaining information. This is my 10th class of ACLS, and the information was the best. I like that the class was presented with humor and reinforced with real-life stories. I attended Michele’s class to obtain my ACLS certificate and to have a great time doing so! Michele’s class is a very relaxed environment with friends and food. I liked the hands-on-techniques; the pleasant surroundings; and the good hand-out with key things to remember. Michele is very knowledgeable and explains all things with a straight-forward approach. I liked the casual yet informative approach and stress-free environment; The questions were answered readily and good examples provided. Michele was captivating and motivating; she simplifies the thought process for easy remembering; the videos were very good – especially for visual learners like me. I just took Michele’s class for the third time. I always learn something new. She is very entertaining. Also has great ways to help me remember the information. I attended Michele’s class to learn more about cardiac arrhythmias and attend the medical emergency codes. Michele’s class helped me to understand many things and provided lots of new information. Michele made the class very interesting. Michele’s organized way of teaching made the class perfect. I attended Michele’s class previously and found it very informative to better understand what other members of the Code Team were responsible to do. I also like the informality of the presentations. I liked everything about Michele’s program. It was a great presentation. Michele is very knowledgeable and very good at communicating; she has a great sense of humor which certainly helps make a stressful situation a learnable one. Thanks. I liked the ease at which the program was taught. Subjects are broken down and explained in their simplest form. I wouldn’t change a thing about the program. The AHA-ECC book tends to be a little confusing. There was ample time to ask questions and obtain clarification if needed. Michele has a good sense of humor. I like that Michele’s class is very thorough and concise and Michele is very prepared and up to date on all the new changes. I’ve attended Michele’s class before and I found it to be very thorough. Michele’s teaching was clear and concise; she has a great sense of humor; I felt at ease; and as a result I feel that I learned vital information that I can use in a professional setting. I learned more with Michele’s course than other courses I’ve taken. She has a lively and positive attitude, and good memorization techniques. Michele’s humor is the best tool to impart knowledge; Michele rules: please don’t retire before I do. Very relaxed learning environment; very informative; I learn something new each time I take Michele’s class. I always learn so much from Michele; Her class is informative and great; I have never met anyone smarter. Great new guidelines. Michele was terrific as always. Michele is just great; she makes you feel at ease. I heard about Michele’s classes at one of the hospitals that I work at. I liked that Michele’s program is informal and that you don’t spend hours being intimidated. Michele was very friendly and courteous; very knowledgeable and willing to help us understand; she explained as needed. Very good learning atmosphere; very informative; low anxiety; I learned a lot. Finally a smart nurse who is like we are. Great food and munchies too. Michele has a great personality and is very knowledgeable. The group interaction was great and Michele’s approach to the program was great. She is fabulous. The learning environment was very comfortable and conducive to learning. Michele’s class is very informative in a non-threatening way. Michele is very knowledgeable and uses input from the students – which adds interest. I liked the way Michele was able to convey all the rhythms and algorithms in a hands-on way. Michele has a concise method of teaching – very clear examples. I really liked the atmosphere of the class. Everything about Michele’s program was great. Michele is amazing and so knowledgeable; I feel that I learn so much from Michele’s program, and every time I take it I learn something new. With Michele’s class I learn the material and enjoy doing it. I don’t get apprehensive. Michele is an excellent superior instructor. She presents the material so it is easily understood. Michele’s lectures keep you interested. I liked the class atmosphere; and the reinforcement of important information; and the pneumonics. The class was a perfect mixture of knowledge and humor. Class was perfect; relaxed friendly and atmosphere; Felt like I’ve been here before. Michele’s class was very interesting and entertaining. The presentation of the information was excellent. I had a great experience and will highly recommend this course to all of my RN friends. I was very nervous prior to coming to class. I didn’t know what to expect. All the info seemed overwhelming. Being here with Michele was very relaxing and comfortable. Michele explained everything in a fun way – in a way one can remember the material. She is funny, smart, and memorable. Lots of great hospitality – Christine did a great job – the food was great. Michele covered everything in a simple and comprehensive manner. She highlighted the info that was important to know. Michele is an excellent and entertaining speaker, and very knowledgeable. I learn something new every time I take Michele’s class. Michele makes it a pleasure to learn and understand ACLS. I like the real-live examples Michele uses in her presentation. This is the best class I have ever taken. Michele’s presentations are presented in a very relaxed atmosphere, which is very conductive to learning. Michele takes the time to explain everything we needed. Use of video and being able to ask questions was one of the best parts about this program. Michele made ACLS and BCLS easy to understand. Professor Michele has high quality teaching skills. Her class was a great experience. Michele’s program was fun, very knowledgeable, and less stressful; I heard very good opinions about Michele’s program from my friends. I liked the program. Michele’s class has humor, hospitality, thoroughness of learning objectives, and of course great food. Michele’s class is given in a relaxing atmosphere; given at convenient times; and in a convenient location. I couldn’t have asked for more. Michele’s class has no stress, is fun, and has a relaxed environment. The best part about Michele’s class is the comfortable atmosphere and humor that is incorporated into the class. Michele is educational, without the stress. Michele really keeps you interested. The best part of the program was the hands-on aspect, and Michele’s humor. Michele is an excellent instructor, very knowledgeable, and funny too. Michele’s classes are so well presented; and not intimidating at all. Michele’s teaching methods encourage memorization and learning. Michele’s class is a well-run program. She answered our questions thoroughly. Michele makes the material easy to understand, has excellent interaction with the nurses, and is a wonderful instructor. I took Michele’s ACLS and BCLS class because it is the best offered in the USA. Michele has the ability to make the material informative and entertaining. Christine was very hospitable and made scheduling very easy. I appreciate her being so accommodating. Michele is the best reason to take ACLS. Michele has very effective teaching strategies and is a very knowledgeable instructor. She demonstrated effective teaching skills and has extensive knowledge and expertise in the subject. The learning environment is very relaxed. Christine does an excellent job in coordinating the program. I would be interested in attending future programs. Michele was very informative, and the slides were very helpful. Michele made the material enjoyable, and she was very informative. Michele’s classes are done in a relaxed atmosphere – and very entertaining – despite the subject matter. Michele’s ACLS course is the best, and stress free. Michele makes the heart-blocks so easy to understand. This is the first time I really understand them and will be able to remember them. I took Michele’s class because she was very highly recommended by other nurses in my hospital. As the nurse manager of my unit, I feel that we must be the best we can be – for the sake of our patients and for our careers. I must tell you that taking the class with Michele carries weight in our medical community. Every nurse in my hospital knows about Michele and what a great teaching job she does. Michele is truly a nurse’s nurse. I admire what she does, and how she does it. As a nurse manager I am very happy to know that Michele is training my nurses, and that she is just a phone call away. Nursing Manager at a very large hospital on Long Island, NY. Thanks again for the great class. You are very good at explaining the material covered. I hope one day to be an instructor myself. Just wanted to thank you. Your classes are awesome and I actually look forward to seeing you every 2 years. Keep up the good work. I have taken both ACLS and PALS with Michele. She is a wonderful instructor who brings both a wealth of experience and knowledge to each class. The material is presented in a clear, professional, incredibly stress-free environment with just enough comic relief to keep things interesting. Please know that, as much as I hope and pray I never have to use what you have taught me, I am glad that your are there to teach it. Florence Nightingale has nothing on you. Thanks so much for sharing your thoughts, wisdom, and time. You make learning so easy and comfortable! Thank you so much for your hospitality and sharing of knowledge. I have taken ACLS for years and feel I learned the most in the few hours I spent with you. Professor Kunz knows how to teach tough topics in a very interesting and fun way that she makes it easy to learn. Michele is the ‘ultimate nursing coach’ for that special breed of people who provide health-care for the sick. Michele has been an enormous source of strength and insight for me both personally and professionally. Michele really knows her stuff. She is the Dr. Ruth of nursing. Michele is the best mentor any nurse could hope to meet. She has so many years of experience and is so knowledgeable it is a pleasure to listen to her. She taught me how to be a better nurse. I hope my career can be as successful as Michele’s. Michele is the most knowledgeable and interesting nursing teacher I have ever had the pleasure of learning from. Michele is the best coach a nurse could hope to have. I’ve been taking ACLS for fifteen years – this was the first time I could take it all in and really listen, laugh, and enjoy the experience.